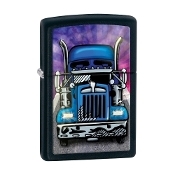 Big Truck Zippo. Matte black finish body. Model ZO28312.